This can also apply to women who have to undergo cancer therapy, so potentially damaging their reproductive capacity. The survival of these frozen eggs has improved dramatically in recent years, thanks to better freezing techniques, and we offer this reliable service. You will undergo controlled ovarian hyperstimulation, as you would with IVF, to produce eggs we can retrieve for freezing. They are frozen immediately afterwards, and can be used years later when you are ready to try for a baby. The eggs are then thawed, injected with a single sperm to achieve fertilisation, and then transferred into uterus. Women in their late 30s who still want to defer pregnancy for some years, and who are in a stable relationship, may consider embryo rather than egg freezing. The procedure is the same as for conventional IVF, but instead of the embryos being transferred back into the uterus, the resultant good-quality embryos are frozen, sometimes for years. 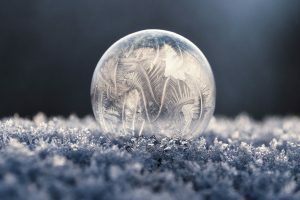 Survival rates of frozen embryos are better than for frozen eggs, so couples may want to choose the former option to improve their chances of becoming parents further down the line.